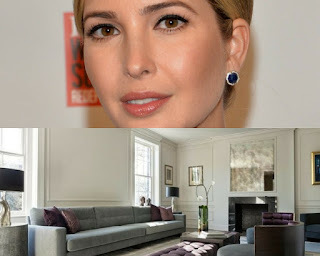 In the luxurious neighborhood of Kalorama, Washington, D.C., there sits a white house ideally situated for those who have some connection with the actual White House. In fact, just down the road live none other than former president Barack Obama and his wife Michelle. No one except the very wealthy could possibly afford to buy and maintain the $5.5 million colonial home. But who is the privileged person who nabbed it? Well, it turns out that the stunning mansion was bought in December 2016 by Donald Trump’s daughter Ivanka. She’ll be living there with her husband Jared Kushner and their children Arabella, Joseph and baby Theodore. It’s certainly a beautiful area to be in – but let’s hope there’ll be no tension with the neighbors.